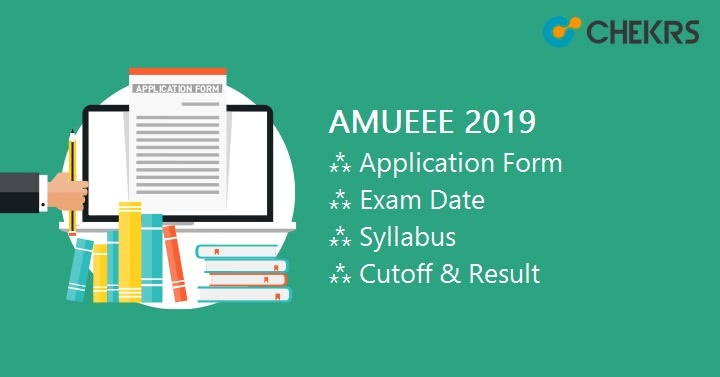 AMUEEE 2019: The AMUEEE is abbreviated form as well as Engineering Entrance Exam name of Aligarh Muslim University. The AMU B.Tech Entrance Exam is the gateway for becoming the member of the course. Those who are keen to continue their B.Tech, B.E or B.Arch and B.Tech program from the university have to appear in this test. AMU Also Conducts Entrance Exam for MBBS and BDS Admission You can check the separate article here: AMU MBBS Admission. The years-old Aligarh Muslim University is among those top universities where getting admissions is next to get elevated learning. If you want to learn complete details of the exam, follow the complete article and find out the description of AMUEEE Admission, eligibility, how you can fill the application form, and complete exam related guidance. Students keeping interested in the B.Tech/B.Arch courses offered in the AMU can expect their admission in the university only if they fulfill the AMUEEE 2019 Eligibility Criteria. The exam can be given by students for admissions in Chemical Civil, Computer, Electrical, Electronics, Mechanical and Petrochemical Engineering. AMUEE Eligibility (Qualification): The applicants should have scored minimum 50% in compulsorily in subjects like Physics, Chemistry, Mathematics and English too. The students who have done diploma in Engineering by scoring minimum 50% marks can also apply for admissions. The students keen about their admissions in the university can submit their AMU EEE Application Forms through online mode only. Interested students can access the application forms through the website only. Students who want to give exam of both B.Tech and B.Arch can fill same application fee by paying Rs 100 application fee. Along with the application form, the fee to be paid also will be online only. The AMUEEE Application Fee will be INR 600/- for all interested candidates. However the physically challenged students will get 40% concession in the fee. Firstly complete the registration process by creating your account on the university website. Once done, use the registration credentials to sign in the university website. For applying to the particular course, find its application form from the home page. Fill the required details in the given format with accuracy as details won’t be changed later. Proceed further by submitting the application fees using any of the online payment options from available. Once done, save the application form number for future references but the hard copy of application form is not required. As the complete process is online only, each applying student will have to apply online. The AMUEEE Registration will be single time thus for each individual it is advised to do separate registration. Even though, if one is interested in taking exam of multiple exams, he can use his same registration ID password for further use. Note: while registration, mark the fields carefully as once saved they can’t be changed. In order to appear in the entrance exam, possessing admit card is mandatory. In whose application submission had failed due to any reason, they won’t be able to able to access their hall tickets. The AMU Admit Card for Entrance Exam will update the official information of exam date, timings, exam center and instructions to give the exam. Students can receive their AMU Entrance Exam B.Tech Admit Card once the exam dates are nearby 2 days. The admit cards can be downloaded online only from the controller office. However, here it is easy to find the AMU Engineering Entrance Exam Admit Card downloading and date of availability easily; as dates for each course will be different. The aspirants of B.Tech courses and B.Arch courses will have different exam pattern. To get best results it is advisable to follow the exam pattern listed here because each institute has its own marking scheme. Candidates will have to give Paper I same as B.Tech students. At second phase, qualifying students will be giving Architectural Aptitude Test comprising descriptive questions on drawing test. For each correct answer, 01 marks will be given to the candidate. While for the wrong answer, each time 0.25 marks will be deducted. The syllabus for B.Tech courses as well as B.Arch my slightly vary. As the AMU has its own high standards for the exam, admission aspiring students will have to stick to the topics listed in the syllabus. The AMU B.Tech Entrance Exam Syllabus will deliver information of Physics, Chemistry and Mathematics subject often asked in exams. Here we are providing the detailed syllabus, which to catch the essential topics of the exam. The AMUEEE Syllabus pdf comprises of topic names including 12th class ones to be studied and must follow reference books. The B.Arch aspirants can also find the complete syllabus for them in the same file. The previous papers are surely a boon for all those who want little extra marks. The benefits of referring to AMU Previous Papers are endless. But a few sure effective is that it provides hints to the highest level of questioning. Here you can find sets of AMUEEE Previous Year Question Papers in pdf format that are easy to download and prepare better. Preparation plays a vital role as it determines the performance on the final day. Here we are listing a few of the essential must follow preparation tips so that you excel in the exam. Above anything else, first, complete the listed topics from AMUEEE Preparation Books as mentioned in the syllabus. Do refer to the 12th NCERT books as MCQ may come from the basics of the book. The AMU Engineering Entrance Exam will be taken in the mid-month of May and here you can check exact dates on the go. The university will also facilitate students with the AMUEEE Answer Keys 2019 so that it will be easy for students to know correct answers of the MCQ question paper. The AMUEEE Answer Sheet will be released after 2-3 days of the exam date and students can refer to it. However, if students find out any discrepancy, it can be resolved following the detailed procedure mentioned as per updates. The AMUEEE Result Date is expected to be announced by the month of May. The announced results and selection will be given to all on the basis of ranking drawn from merit in the exam.